Most of us like our space, of course. And that often even extends to our websites. A crowded, dense site can be an immediate turn off to visitors. And so if you’re looking to get more space around certain elements in your site (like images, paragraphs, widget, etc. ), then the tips below should help. Dealing with the CSS in themes is always a challenge because theme authors often give different names to things. So realize that you may need to do some playing around till you find the exact element in your theme. Also, as you’ll be changing your theme’s template files for these fixes, you’ll probably want to create a child theme if you haven’t already. There are a few basic CSS principles to know before we get started. When you want to add padding or magins, there are a few ways to do it. 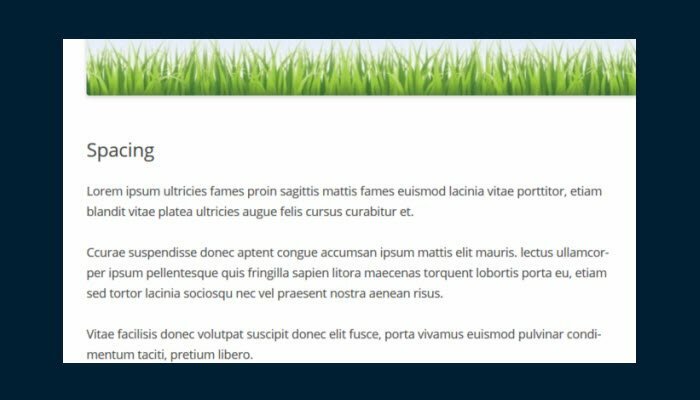 Let’s say you wanted to add 5px of padding to the top and bottom of some element, and then you wanted to add 10px of padding to the right and left of that element. The shorter way to do that would look like the following below. Or you can use only two values if the top and the bottom are the same, and then the right and the left are the same. The first value will define the top and the bottom, and the second value will define the right and the left. If you’d like to add space between paragraphs, the first thing you’ll need to do is find the CSS class of the div for your main content. If you view your source code on a single post and look at the area where your post begins, somewhere just above that you should see a div with a class name that’s related to your content. Here’s my post before spacing. And here’s my post after spacing. In order to add space between widgets, go to your CSS file and search for “widget.” You’ll be changing the “margin-bottom” property. You’re likely to find a lot of different CSS code for different elements of the widgets, such as the title or images in widgets, etc. Each theme will be slightly different, so you might need to search around a little to find the main widget boxes or areas. Once you do, it’s probably easiest to just copy that whole section and put it into your child theme stylesheet , and then change the “margin-bottom” to a higher number. For example, in one theme, this was my main widget area. It was pretty simple. In another theme, it was slightly more complicated: .widget-area .widget. Once again, you’ll want to add space with the “margin-bottom” property. In my example, I’m adding 10px of space to the bottom of each item. Here’s my before and after for the extra 10px. And so that should work for you, but you should also know that doing it that way will give you extra space after EVERY list item in your widgets. So, for example, if you put a category widget into your sidebar, then your list of categories will also be spaced out like that. Maybe that’s what you want. But maybe it isn’t. If it isn’t, then there’s another solution. You can style only the specific menu items you want to style. This added an extra 10px below those menu items, but it left my widget category links, for example, as they were. If you’d like to add space between posts (like 50px, for example), then most likely the following will work for you. This can be a little confusing because you’ll likely see a number of different div IDs, but look at your source code and see if you can figure what the div ID is for your content. In my sample theme, it is labeled content. But I’ll show you where it is anyway. As usual, your theme may be different, and so you might have to search around a little and play with things to find the right element. That said, you might try looking for the “body” element. Then you can add “margin-top” and “margin-bottom” elements. Your theme might already have a top and/or bottom margin for the body, or you might have to add one. Here’s where I found the CSS for one theme. It was listed under “body .site”. And here’s where I found the CSS for a different theme. It was listed simply under “body”. As images appear in all sorts of place in your site, it’s not really practical to start trying to define each one and what type of space someone might want around a particular image. For example, there are images in posts, but then there are right-aligned images and left-aligned images and centered images and images without alignment. There are also images that appear in widgets and thumbnail images and slider images and on and on. The important to remember is that images are styled in CSS with the “img” tag. So that’s a beginning place to start looking. You might also take a look at this page on wordpress.org. That said, when you’re working with images in your posts, you can also give them a custom style as we did with individual menu items above. To do that, click the edit icon on the image in your editor. Then go to your stylesheet and style that newly created class as you like. I’m going to add 25px of padding to the right of my image. And here’s my after pic with extra padding out to the right. And of course, once you have your special styles set up, you can apply them to any images you like. *Final Note: You may find that your theme has two properties that are the same. For example, you may find that there are two top-margin elements – one with pixels and one with just a number, for example. If that’s the case, you will either have to change both of those numbers or eliminate one and change the remaining one. As far as the space around images, the WP advanced settings on images used to let me add in Xpx space the side and bottom of images and no longer does. Thanks for showing me how to get around this. Yeah, I’m not sure that change was for the best. Anyway, glad the post helped.